There are jobs available, but with so many people applying for the same ones, securing employment is getting harder. Arming yourself with a top quality resume has always been an excellent way of getting yourself an interview and impressing employers, but in the ever-changing world of recruitment, where the demand to hire the right person is getting ever stronger, a top quality resume is only part of the story. Try to find out more about 2015 resume samples to get the best result. According to workplacelit4adults.wordpress.com generally, companies receive 50 to 75 résumés for each skilled position and up to 300 for customer-service and entry-level positions. You see, resume trends are constantly changing. What worked in 2010 doesn’t work now. Where the objective statement was once the star, it is now totally redundant. It doesn’t matter how good you think your resume is, if it isn’t clued up on all the latest resume trends 2015, it’s still going to end up in the big fat No, thanks, pile. To help get yourself up to date with all the latest resume styles 2015, read on. Remember back in 2005 when your paragraphs were longer than a piece of rope and fatter than Jabba The Hutt? Nowadays, you’ve gotta trim those paragraphs right down. Hiring managers are on the lookout for brevity and conciseness. They don’t want to see rows and rows of text that look unreadable. They want you to be able to sell and market yourself dynamically the way a brand in 2015 does. You can use numerics, such as bullet points, to help put your points across in a more readable and digestible manner. 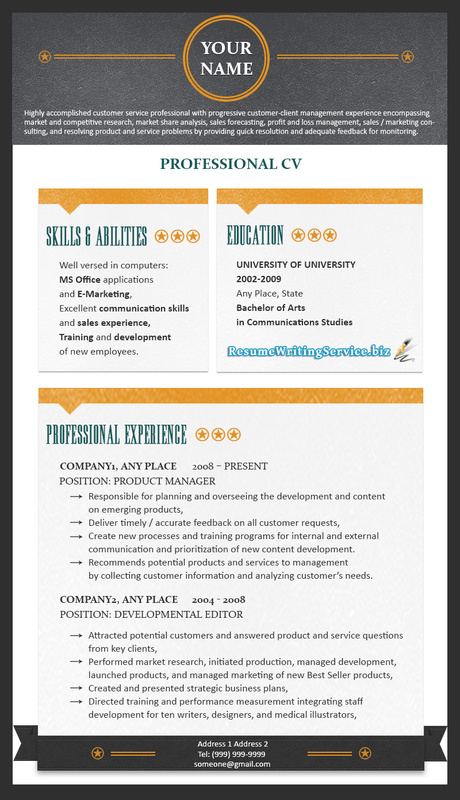 Infographics are becoming widespread in modern-day resumes. More and more employees are using them to better clearly illustrate their strengths. Infographics are replacing words like motivated passionate and driven. These words by themselves are completely meaningless, but by using infographics, you are able to back up your claims, such as I sold X amount of products last year. As well as infographics, you should also consider using videos, as well as more than one color in your resume. You should be careful to different colors sparingly, but if you do use them, they can be an effective way of highlighting your strengths. We absolutely cannot stress this point enough: You should look to get clued up on all the latest 2015 formats. Recruiters now use a sophisticated software program called Applicant Tracking Systems, which is a system that tracks resumes to spot whether or not they have applied the correct format. If you haven’t implanted the correct format – or save your resume as the preferred file type – the ATS will separate the wheat from the chaff, and your resume will end up in the No! pile before a pair of human eyes has even seen it. Sometimes, different hiring managers will require a different format, so it’s worth carefully studying each job ad. Most job vacancies these days will contain a number of keywords. It can be easy to ignore these keywords and assume that you don’t actually have to incorporate them in your resume. But ignore them at your peril. You see, hiring managers want to see these keywords sprinkled in your resume. They don’t want you to overuse them or misuse them – which can be easy to do – but they do want to see them. It firstly shows them that you’ve read the job vacancy fully and that you are the right person for them. The way we write a resume is changing all the time. To get clued up on all the latest resume trends 2015, check out our page today for lots of rewarding tips and tricks!